We are used to navigate through websites by clicking on one link after another. Until we finally find the right product or the answer to our question. However, even if a website has an easily accessible navigation, a user-friendly design, and interesting texts and images, it does not match our natural communication habits. A conversation similar to the one we have in a shop is not possible online. Not yet at least. That‘s where Conversational Commerce comes into play. In the following article you’ll learn what Conversational Commerce is exactly and why or how you can use it for your business. New technologies, such as chatbots and virtual assistants, are fundamentally changing the way people use the internet. They facilitate a more natural online conversation. Chatbots or devices like Amazon Echo and Google Home allow us to ask questions in the same way we would ask sales agents in a shop. Today, numerous users already use chatbots and virtual assistants to communicate with companies. 51% are using voice assistants, especially on their smartphones. 35% have already made a purchase by using a virtual assistant. Conversational Commerce is taking advantage of these usage statistics and uses the technologies to support the sales process. It closes the gap between an online and offline shopping experience and makes the sales process a lot more user-friendly. In the future, our online shopping experience will be much more personalized. Offers and recommendations will be made based on preferences and previous purchases. Static websites that are common today will gradually vanish. And they will make space for a personal communication that consists of interacting with chatbots, virtual assistants and human employees. How can you use Conversational Commerce? The use cases for Conversational Commerce are very diverse. Basically, you can apply it to any type of sales process in which you are in direct contact with your customers. Can you remember the process of buying your last kitchen? And the countless questions regarding the right colour, size, design and material? Stewart Nickolas from IBM shows in an illustrative example how Conversational Commerce can make purchasing a kitchen much easier in the future. The video shows clearly hat Conversational Commerce won’t replace personal interaction. It rather serves to support the buying process before a salesperson takes over. For example, the first research can be done by the customer with help of a virtual assistant. Afterwards a human employee can take over to discuss everything in detail. The fashion industry is another area where Conversational Commerce is already widely used. For example, brands like H&M or Sephora have implemented chatbots to help you choose the perfect outfit. Not only do they support the sales process, but serve as your personal advisor, recommending outfits based on your preferences and providing styling tips. It’s almost like talking to a shop assistant in the store. 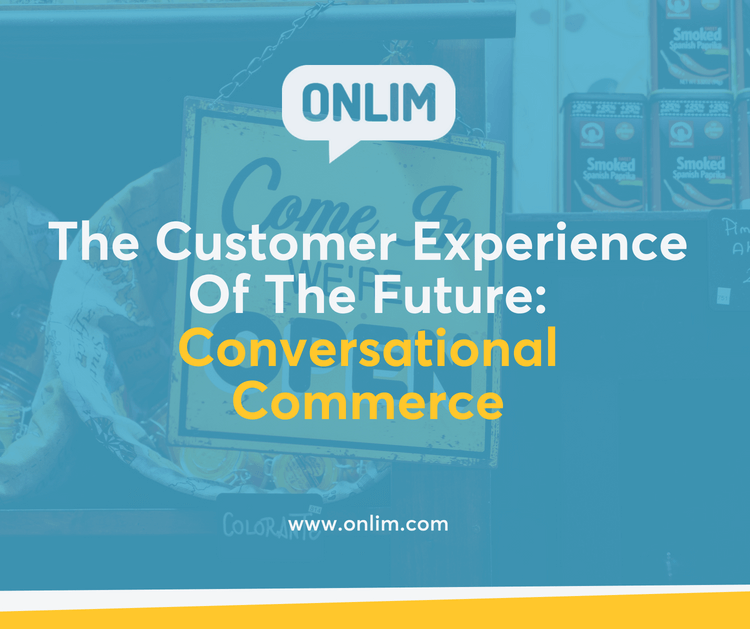 The possibilities of making use of Conversational Commerce for delivery services and restaurants are endless. For example, the technologies can be used to take customers’ orders, investigate about particular preferences or to recommend a meal. Some companies even go a step further. They are using technologies around Conversational Commerce to improve the experience during the restaurant’s visit and ensure that the online and offline world merge into one unique customer experience.